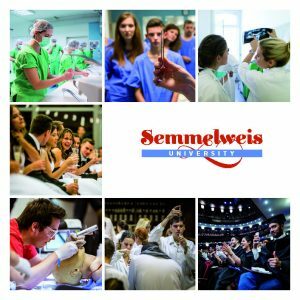 The attaché for scientific cooperation and universities at the French Institute of Budapest paid a visit to Semmelweis University’s Department of Anatomy, Histology and Embryology, where a research group previously won a so-called TÉT grant supporting Hungarian-French bilateral cooperation in science and technology. Under the program, the scientists are studying the role of the neural crest, which is a part of the embryonic nervous system, in the development of the immune system. Dr. Sébastien Reymond, the attaché for scientific cooperation and universities at the French Institute of Budapest, visited the department to meet the members of the research group that recently won a TÉT grant supporting Hungarian-French bilateral cooperation in science and technology, as well as the head of the French workgroup taking part in the study. 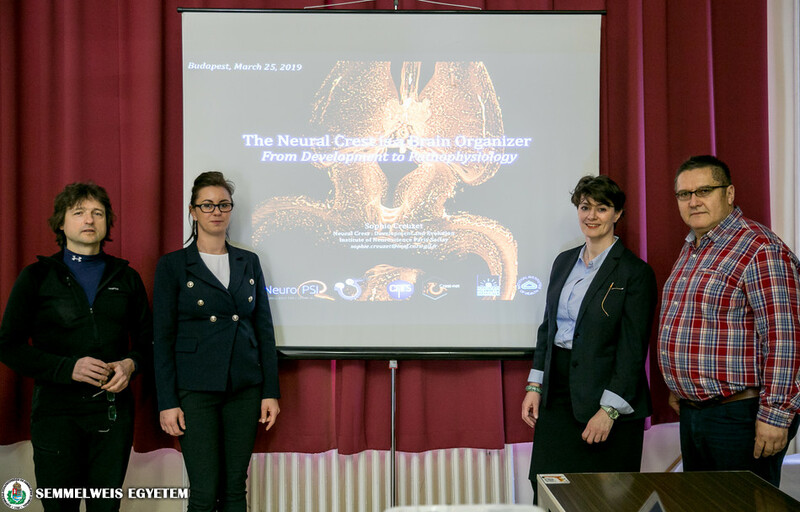 For Dr. Sophie Creuzet (Paris-Saclay Institute of Neuroscience), this was the first visit to Hungary within the framework of the program supported by the National Research, Development and Innovation Office (NKFIH), and she also held a presentation for the workers at the department. Dr. Creuzet, who is an internationally renowned expert in the study of the cell population of the neural crest, a part of the embryonic nervous system, is seeking answers among others to which organs the cells of this cell population reach, and what role the effects of embryonic development play in the development of so-called neurocristopathies and other diseases. Within the Department of Anatomy, Histology and Embryology’s grant-funded LymphoCrest workgroup, part of the Laboratory of Stem Cell and Experimental Embryology, senior lecturers Dr. Ildikó Bódi and Dr. Krisztina H.-Minkó are studying the role of the neural crest in the development of the thymus. The thymus, which is located in the chest cavity, is the main location where T-cells mature. Earlier studies have shown that the neural crest also plays an important role in the development of the thymus. If the cells of the neural crest do not mature and migrate normally, it may lead to the development of DiGeorge syndrome, which also affects the development of the thymus. The goal of the bilateral cooperation is for the Hungarian and French research groups to jointly study the role of the neural crest during the development of the thymus, and the potential role of neural crest cells in the selection of the T-cells maturing in the thymus. Taking part in the work of the research group from the clinical side are Dr. Zsolt Prodán (Gottsegen György Hungarian Institute of Cardiology), Dr. Gergely Kriván (Hospital of Southern Pest, National Institute of Hematology and Infectious Diseases), Dr. Zoltán Szállási (Harvard University, Boston Children’s Hospital) and Dr. Orsolya Rusz (2nd Department of Pathology). 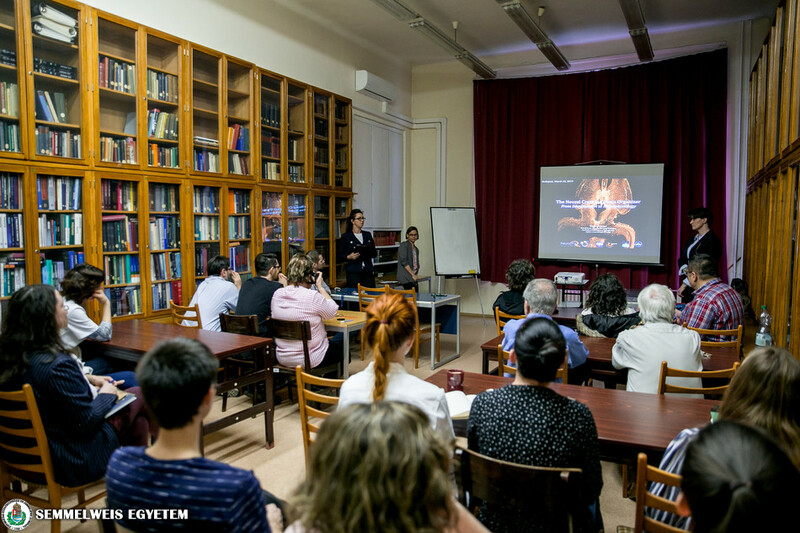 The members of the research group have also been invited to the French-Hungarian Scientific Research Forum, where they will have the opportunity to present their scientific work. 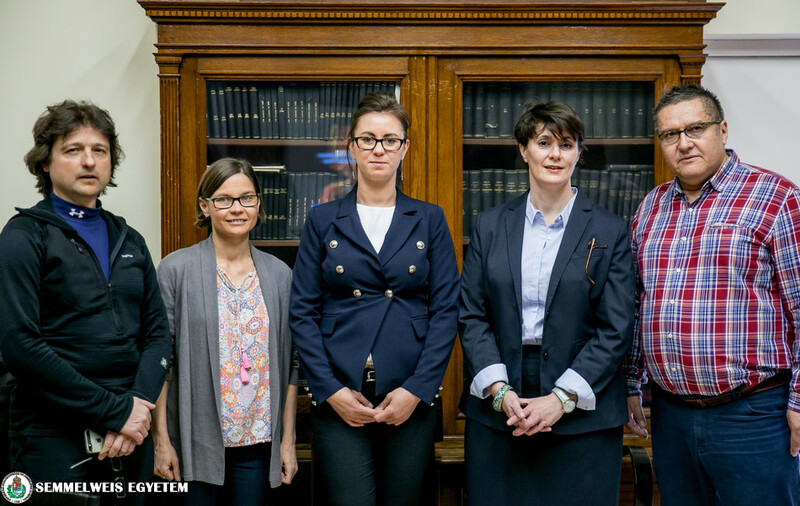 Dr. Ildikó Bódi, who represents the Hungarian side in the project, said that they have found a so far unknown morphological deformity in the thymus of children born with atrial septal defect (ASD), which they have also been able to confirm in animal models. Their assumption is that the development of the abnormal thymus is a disease that appears parallel to ASD, the real cause of which should be sought in the faulty regulation of signal transmission processes in the cells of the neural crest. In their further studies, they would like to analyze the connections between heart and thymus abnormalities, as well as the role of the neural crest in these processes.